When you think of Tanzania’s protected areas, what do you think of? The Serengeti, Ngorongoro, perhaps Kilimanjaro National Park, where the famous Mt. Kilimanjaro is? Whatever the case, I am pretty sure you don’t think of Tarangire National Park, unless of course you are the father of an ex-colleague who, after visiting several Tanzanian protected areas, confidently told me at a cocktail party one day that his favourite nature reserve in Tanzania was Tarangire National Park. I was taken aback by his statement—that is not at all the answer I was expecting—but as I recalled my own experience at Tarangire National Park, with it beautiful big trees, brown hilly landscape, and abundant wildlife, I could sort of see how, if done other than the way I did it—don’t ask—it could lead to an outstanding safari experience. So, today, as I consider visiting Tarangire National Park again later this year, I would like to tell you a little bit about this charming little park that’s often overlooked in favour of her bigger sisters nearby. Want to know more? Let’s dive right in. Where is Tarangire National Park? Tarangire National Park is located in northeastern Tanzania about 120 km from Arusha, Tanzania’s fourth-largest city. 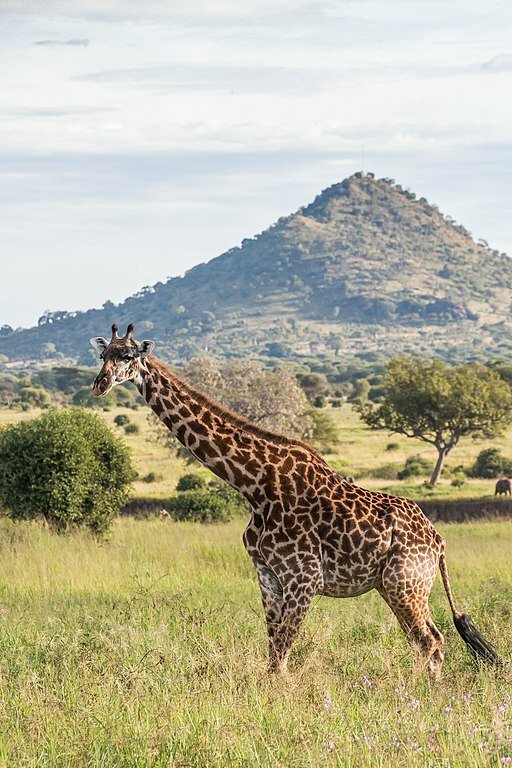 Tarangire National Park, the 6th largest national park in Tanzania, is part of what is commonly referred to as Tanzania’s northern tourism circuit. (There also exists a Southern Circuit and a Western Circuit.) See the map below—the parks of the Northern Circuit are marked with an orange star. How does one get to Tarangire National Park? Because Tarangire National Park is so close to Arusha, and the two are connected by good road, getting to Tarangire National Park is really an issue of first getting to Arusha and then making your way to Tarangire, usually by road. How does one get to Arusha? 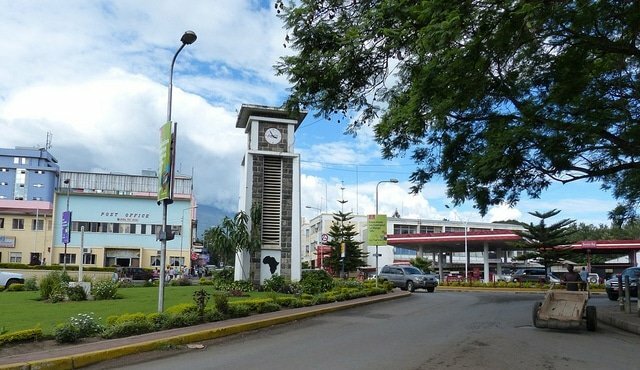 Flying directly into Kilimanjaro International Airport (JRO) located 40 km outside Arusha, and then using a readily-available airport shuttle to the city. Flying into Julius Nyerere International Airport (DAR) and then taking a domestic flight to Kilimanjaro International Airport (JRO) or Arusha Airport (ARK), and then using a readily-available airport shuttle service to Arusha. Once you are in Arusha, it is customary to use a local tour operator to get you to and from Tarangire National Park. You can browse through tour operator packages to Tarangire here. 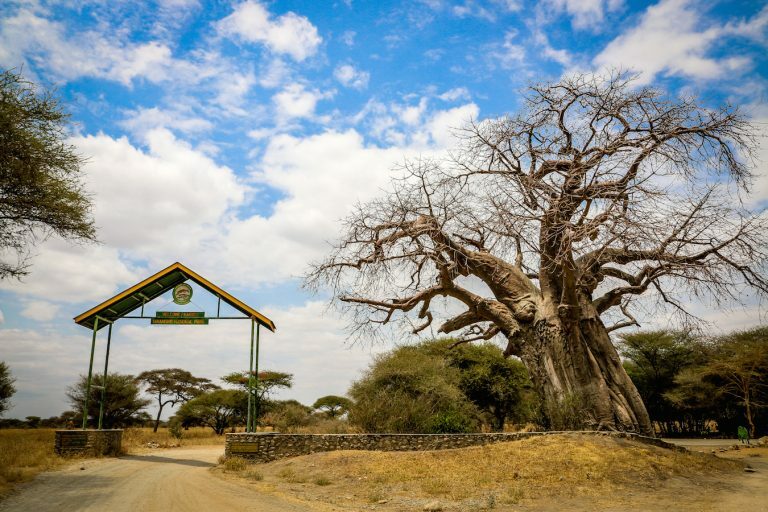 Other options include renting a car or driving your own car (if you drove to Arusha) and then doing a self-drive or picking up a guide at the main entrance of the national park to show you around and tell you about the wildlife. IF you chose to get a guide at the main entrance, be sure to arrive early in the day because later in the day, many of the guides will already be on tours in the park, or will have gone home assuming no more visitors would arrive that day. Like many other conservation areas in Tanzania, there are accommodation options both inside and outside Tarangire National Park. 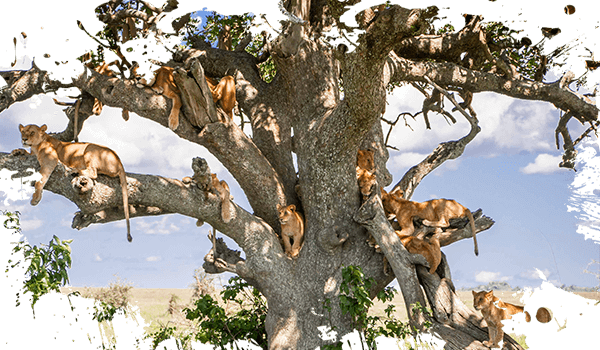 Because Tarangire is so close to Arusha (a 2-3 hour drive over good road), it is also feasible to stay in Arusha and do a one-day trip to Tarangire National Park. The top-end properties within the park are Sanctuary Swala Camp and Oliver’s Camp. Tarangire Treetops is a popular, and highly-rated choice, outside the park. You can find a wide selection of accommodation in and around Tarangire National Park here. What exactly is there to see at Tarangire National Park? To quote someone else, the nature of Tarangire is defined by “elephants and baobabs – the giants of the animal and vegetable kingdoms”. 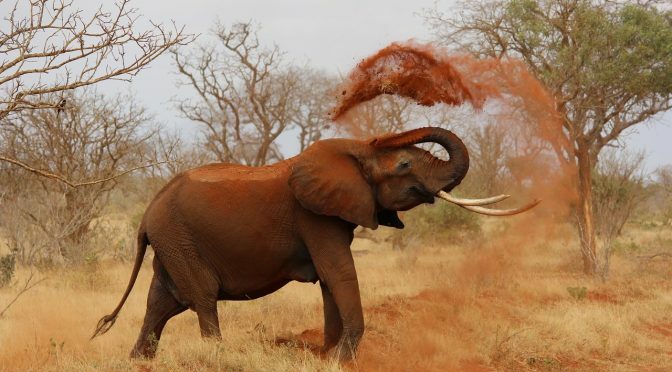 Tarangire National Park has the highest concentration of elephants in Tanzania (which has the largest population of elephants in Africa), and it is not uncommon to see herds of up to 300 elephants there. But…Tarangire is not only about elephants. It also has the second largest concentration of animals outside the Serengeti ecosystem. My most memorable animal sighting at Tarangire National Park was seeing the largest number of lions I’ve ever seen in one place, 10, and I have seen my share of lion sightings across East Africa (I tell you about my experience with lions in Mikumi National Park here). The trees of Tarangire, mainly acacia and majestic baobabs, truly differentiate Tarangire from any other national park I have ever visited, anywhere, but especially from the other parks in Tanzania’s Northern Circuit: Serengeti National Park, Ngorongoro Conservation Area, Lake Manyara National Park, etc. The only thing I have seen that compares was on a roadtrip I once took to Iringa, a town in southern Tanzania. I am not a particular tree lover, by any stretch, but the trees of Tarangire National Park are truly something! Tarangire National Park is known for exquisite birding. During the wet season, the swamps of Tarangire are home to the largest selection of breeding birds found in one place, with more than 500 species of birds having been recorded in the park. Notice, I mention ‘the wet season’. If you have never heard of Tarangire National Park or you have but not a lot, that’s possibly because Tarangire National Park is a highly seasonal park. During the dry season, when abundant wildlife flock to drink from the Tarangire River, which runs north to south through the park, animals are plentiful and easy to spot as they congregate to drink at the River. During the wet season, when there is ample water to support wildlife in other nearby areas, animals move freely in and out of the park and are harder to see. 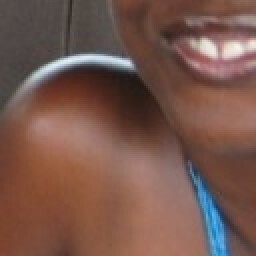 Which brings me to the next question…. That depends entirely on what you want to do there. If you are interested in seeing mammals, then the dry season, between July and October, is best for you. During that time, it is quite likely that you could spot four of the Big Five—there are no rhinos in Tarangire—along with other ungulates such as, giraffes, hippos, and zebra. 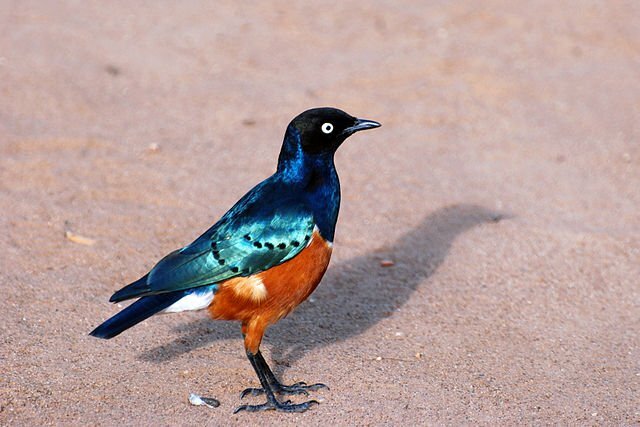 If you are more interested in the birds of Tarangire, then the wet season, particularly November to April when migratory birds from as far north as North Africa and Europe migrate to Tarangire, is more what you should target. How much can you expect to pay to visit Tarangire National Park? I can’t answer that question completely, because safaris can be as budget or as luxurious as you want them to be. What I can tell you for sure, though, is how much you will need to pay the Tanzanian government to visit Tarangire National Park. Find the rates for citizens of non-East African Community (EAC) member states here (there are different rates for non-EAC nationals who reside in the EAC vs. those that don’t). To be clear, the East African Community currently consists of Burundi, Kenya, Rwanda, South Sudan, Tanzania, and Uganda. You can find rates for EAC nationals, regardless of where they reside, here. So there you go, folks. If you had never heard of Tarangire National Park before, or had heard only a bit about it, now you are in the know. Have you ever been to Tarangire National Park? If so, what was your experience there? Do you have any tips to share for would-be travelers to Tarangire? If so, let me know by leaving a comment below. P.S. Are you a website owner who is interested in making more money from the ads on your site? If so, check out this free Google-certified service that helps you to do just that. P.P.S. Do you have a product, service, establishment, or event that you would like to spread the word about online? If so, go here to find out how I can help you do that.